Pattern is also available as a download on Amazon (You can read it without a kindle. 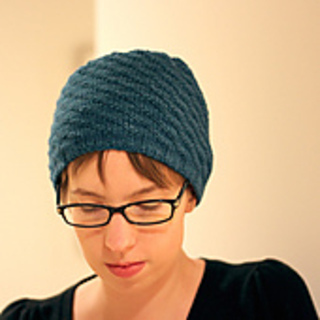 Simple swirl hat knit in the round with ribbed hem and swirling pattern. Quite easy to knit, and you can easily adapt it to other sizes or weights of yarn. Bokeh is a photography technique where the background is blurred, something that shows up especially well when there are small points of light in the background. You can download a pattern preview here. Shown in 22 inch size with 1 inch of positive ease- for a tighter hat use a size that will produce negative ease.